TRENTON, N.J. -- A New Jersey rabbi and his wife and three other couples defrauded state and federal public assistance programs out of more than $1 million by underreporting their incomes, according to criminal complaints released Monday. One of the couples continued to receive Medicaid assistance for their children despite making more than $1 million in both 2012 and 2013, according to one criminal complaint. Ocean County Prosecutor Joseph Coronato said more arrests are expected as a result of the investigation centered on Lakewood, a town near central New Jersey's shore that is home to a large and growing ultra-Orthodox Jewish community. Rabbi Zalmen Sorotzkin, of Congregation Lutzk in Lakewood, and his wife, Tzipporah, were charged with collecting more than $338,000 in benefits prosecutors said they weren't entitled to. Their attorney said they will plead not guilty. 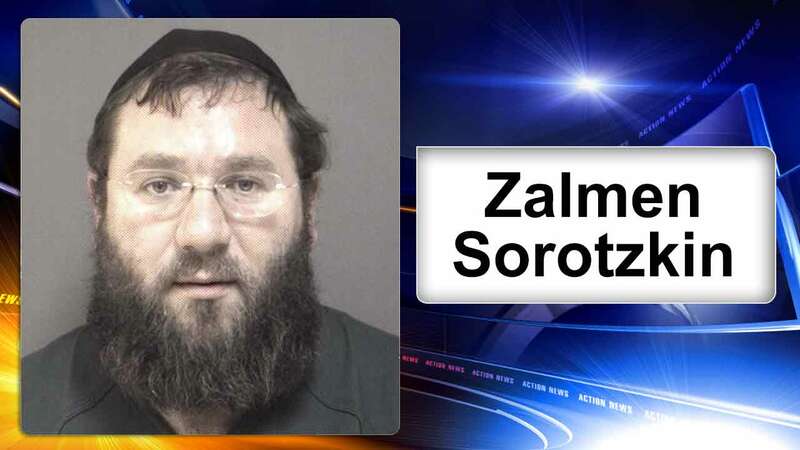 Rabbi Zalmen Sorotzkin, of Congregation Lutzk, and his wife, Tzipporah, were charged with collecting more than $338,000 in benefits prosecutors said they weren't entitled to. They were charged in state court along with Mordechai and Jocheved Breskin, who prosecutors said collected more than $585,000 in benefits. The couple made more than $1 million in 2012 and in 2013, the complaint alleges, but still received more than $96,000 in Medicaid benefits, including $22,000 to pay for medical expenses when their sixth child was born in November 2013. The couples charged in federal court were given $100,000 bond and their travel limited to New Jersey, New York and Pennsylvania, while the couples charged in state court were released without bail, but have to surrender their passports. According to a federal complaint, Yocheved and Shimon Nussbaum hid their income by creating companies that they controlled and were run by relatives. The couple made approximately $265,000 in 2011, more than double the maximum allowed to receive Medicaid benefits and more than triple the maximum for Section 8 benefits, according to the complaint. The investigation was initiated by the FBI and the New Jersey Office of the State Comptroller. It later expanded to include U.S. Social Security Administration, the state Department of the Treasury and the Ocean County prosecutor's office. "Financial assistance programs are designed to alleviate family hardships for those truly in need," Coronato said in a statement. "My office gave clear guidance and notice to the Lakewood community in 2015 of what is considered financial abuse of these programs. "Those who choose to ignore those warnings by seeking to illegally profit on the backs of taxpayers will pay the punitive price of their actions."